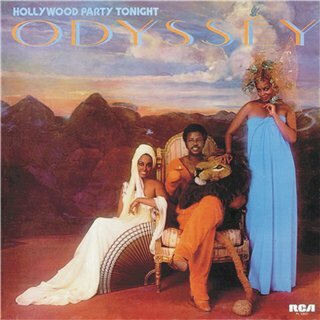 Of all the groups that arrived on the soul, disco or pop scene during the last half of the 1970s, none was more exciting than Odyssey! Their hybrid concoction of soul, disco, jazz and pop makes their recordings something very special, a mix that was not heard until they came on the scene (and not since, for that matter!). Odyssey´s music is almost a category of its own. 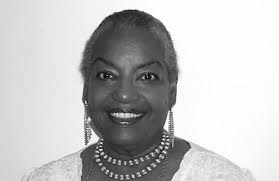 And added to the mix – the sultry, smoky, soulful vocals of their late, great lead singer Lillian Lopez (1935 – 2012). The trio may be considered as another soul/disco group of their time, but what they did musically expands way beyond that classification. If they can be compared to any other artist of the same period, it is The Manhattan Transfer. That group, like Odyssey, took jazz based vocals and set it to a wide array of different musical styles. They swung jazz like hell, but also did pop tunes and even disco. So, in a way, it is unfair to just relegate Odyssey to the soul and disco bins, their music stretched into a lot of other styles – and should be appreciated as maybe the most commercial fusion ever made in the recording business! Although they made just 5 albums during their heyday (1977 – 1982), each and every one of those albums is a masterpiece! Transcending category, they enjoyed greater success in the UK and Europe than in the US – the Americans doesn´t seem to have taken to their mix of styles as well as the Europeans. While their break-through hit “Native New Yorker” was a big hit in the US, they later joined the “exclusive club” of US artists hitting number 1 in the UK without reaching the hot 100 on the US charts; “Use It Up, Wear It Out” was of course the reason for that…. When “Native New Yorker” was released in 1977, it quickly took off and giving the group its break-through hit. With its fabulous arrangement, and lyrics celebrating New York life, it certainly found an audience very quickly. Even today it is the song that the group is best remembered for. The song was covered (in versions true to the original) by both Esther Phillips and Frankie Valli. 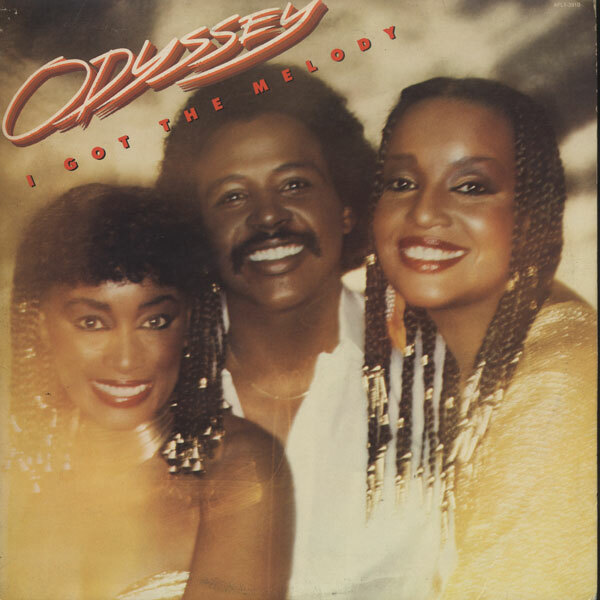 Since the song was a disco styled pop tune, you’d expect their debut album, simply called “Odyssey” to be in the same mould…. It was however, a very diversified collection, incorporating some groovy Caribbean rhythms on “Weekend Lover”, “The Woman Behind The Man” and the 7 minute plus opus “Easy Come, Easy Go/Hold De Mota Down”. Lyrically, the album also dealt with stuff that went way beyond the usual pop clichés; “Ever Lovin’ Sam” is an ode to the narrators much older husband, “Golden Hands” deals with a guy struggling to get out of the ghetto and make a better life, and “Thank You God For One More Day” is a great uptempo pop tune with inspirational lyrics. All of it flawlessly performed by Lillian, backed by great background singing and totally wonderful, live musicians. It just may be the best record made in 1977! Their sophomore album, “Hollywood Party Tonight” came out 1978, and was like it’s predecessor a very mixed affair. The album saw very little chart action, and the one single released, “Lucky Star” didn’t turn into a hit at all. Still this album is very enjoyable, and although maybe the least known of their albums, it really should be rediscovered. They took a big chance by making an album that bucked all the current trends of 1978, and stylistically this album sometimes evokes musical trends from earlier decades, yet all the while sounding very contemporary. Fusing 1940s big band style to a disco-ish beat on “Single Again/What Time Does The Balloon Go Up” makes for a great opener. The next song, “Pride” is also great, a mix of rock and disco. “I Dare Ya” has some latin influences, although it is also quite jazzy. “Lucky Star” is a mid-tempo pop ballad with (yet again) lyrics that tell a great story, much like the one about the New York native, but this time set in Las Vegas. They also do the song that must have the longest song title ever in the history of music; “You Wouldn’t Know A Real Live True Love If It Walked Right Up Kissed You On The Cheek And Said Hello Baby”….!! 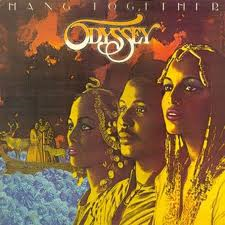 Odyssey was back in 1980, with their third album “Hang Together“, the parent album of their greatest UK hit, “Use It Up And Wear It Out”. Opening with the midtempo groove of the title track, the album gets off on a socially conscious note, as its lyrics deal with the problems in society (and not hanging out at clubs). The lyrics seem just as relevant today, so unfortunately – the changes Lillian so desperate wanted in 1980 still haven’t happened… But the song can also send you straight for the dance floor, despite the downbeat lyrics. After the ballad “Never Really Had It All”, it’s back to the club grooves on another perennial Odyssey favorite, “Don’t Tell Me, Tell Her”. The track is a funky, enjoyable song dealing with yet another look at the eternal love triangle of two girl and one guy. It was redone in 1981 by Phyllis Hyman on her great album “Can’t We Fall In Love Again”. Of the two versions, I hand the prize for best one to Odyssey; Ms Hyman at this point was so hyped up to be the soulful “godess of love” that she overworked a lot of her material, bending notes any which way and hardly singing anything “straight” and trying way too hard to prove her soulfullness…. Next up is one of the few rock tracks Odyssey did, “Down Boy”. With its sharp guitars and rockabilly influenced rhythm, it’s a fun track and it stands out in the Odyssey songbook. I can easily imagine Freddy Mercury & Queen doing this song! After the playful “Follow Me (Follow The Leader)”, the stage is set for the albums magnum opus: “Use It Up And Wear It Out”. It topped the UK charts, while never entering the charts in the US. Just why, is a big mystery – it is one the best Dance/soul tracks ever made, and a true classic example of just how good the mixing of soul, Caribbean influenced rhythms and a disco-y beat can be! If you never heard this song, make sure you do very soon, it’s a classic! Lillian Lopez was always praised for her great singing, but unlike a lot of other “soul divas” she didn’t indulge much in slow grooving, heart felt ballads that call for a lot of wailing and screaming. She is, however, at her ballad best on “If You’re Looking For A Way Out” – the track that follows “Use It Up And Wear It Out”. A total stunner of a beautiful ballad, Lillian’s voice trembles with emotion, and the result is THE best ballad Odyssey ever recorded. The original album closes on a playful note, with “Rooster Loose In The Barnyard” – a steaming funk track that starts with the line “This is a dirty song, send all your kids to bed“! 1981’s “I Got The Melody” started off with a jazzy arrangement of the Patti Austin composed title track, but the next track was the true highlight of the album; The “Roots Suite” consists of three tracks blended together, “Ajamora Ayega (Freedom For All)/Going Back To My Roots/Baba Awa”, one tracks seamlessly seguing into the other on this 10-minute suite. “Going Back To My Roots” is another of the classic Odyssey tracks that was a huge hit in Europe at the time (and was redone and clubbed up by Linda Clifford a few years back). It is yet another example of just how exciting the group could sound, and it’s notable also due to the fact that Lillian doesn’t sing lead on it – Bill Mc Eachern does that. 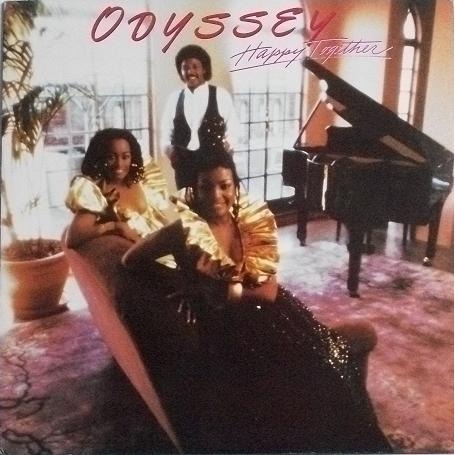 Odyssey’s only ever did two cover versions of other people’s hits, and the first one appears on this album; they do a reggae influenced take on Maxine Brown’s 60’s classic “Oh No! Not My Baby” – a smart move, as the countless other versions (from Rod Stewart and Dusty Springfield to Cher) were all done as a ballad. This album also contains another memorable song, the gentle and very beautiful “It Will Be Alright”. The album closes with the minor hit single “Magic Touch” – a title befitting most of Odyssey’s music in general! The first five albums played back to back gives you a musical journey of great music that sounds like nothing else, and personally I am overjoyed by the fact that these classic albums now are available on CD! After leaving RCA, they recorded one more album, “Joy” in 1985 on a smaller label, and the song “Joy (I Know It) was a very minor hit, but giving Lillian another chance to shine. In the years since then, Odyssey as a group has seen several changes in personnel and haven’t done a whole lot of recording, although a new incarnation of the group has re-recorded some of their old hits…. Lillian Lopez left the group in the late 1980s, and basically retired from the business altogether. She died of cancer at the age of 77. 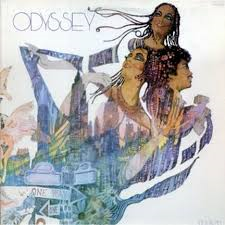 Odyssey’s musical legacy proves them to be one of the truly great groups of all time, and I hope a lot of you will be re-accquainting yourselves with all this great music. 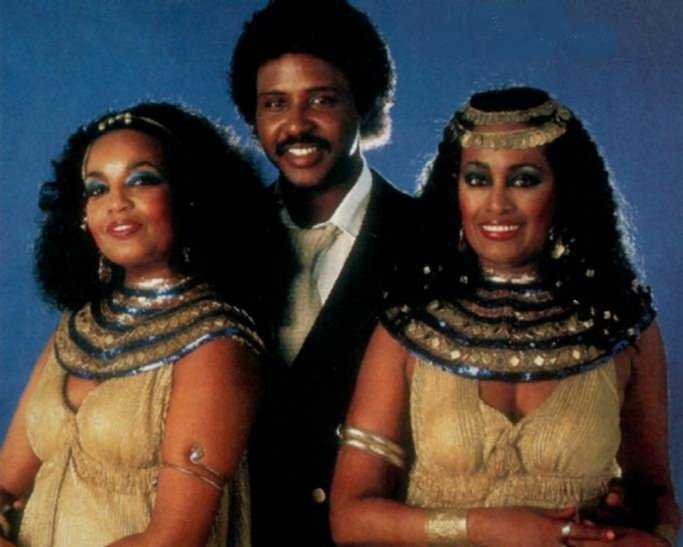 They deserve to be remembered for so much more than just a couple of dance hits from the 70s & 80s. If music can in any way be termed as “luxurious” – the sound of Lillian Lopez and Odyssey is exactly that!